Written by RV OcampoPublished October 1, 2018 Discussion Leave a Comment on Spring Planting Guide: What are the best vegetables to plant now? Have you worked out what vegetables to plant now? This is what most gardening enthusiasts have in mind when spring comes in. For them, this is the busiest season of the year as they spend their entire day working on their beautiful garden. Choosing what vegetables to plant now can be difficult because of the different weather temperature for each state. If you are looking for more ideas, here are the best vegetables to plant now in warm and cold areas. Artichoke is one of the most interesting vegetables to plant in spring because of its flower-like beauty. It starts as a bud and as it blooms, its structure changes into a pinecone-shaped bud. This vegetable grows in rich and well-drained soil. The secret to keeping them healthy is to keep it well-fed with good quality compost. You can start planting artichokes between the months of August to November. The proper way to prepare your garden plot is by digging a 30cm deep and 100cm wide hole. Also, make sure to maintain 4ft. distance from each plant. Artichokes plant can grow big, that’s why you need to give each of the plants enough room to grow freely. A further advantage of artichokes is it can also grow in average to cold weather temperatures. So, you don’t have to worry much about its condition when the temperature drops. 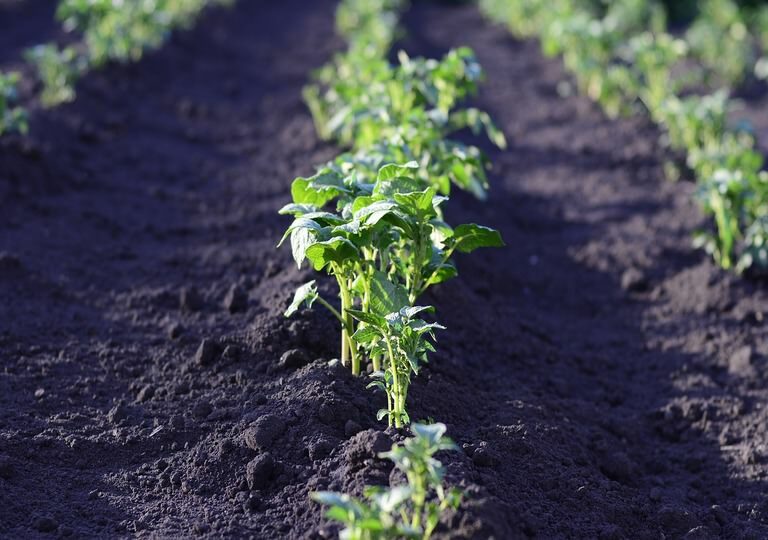 Beans can only be planted in warm temperatures because it needs to be exposed in full sun. But in terms of soil, it can grow in many types of soils with a neutral level of alkalinity or acidity. If your soil has a pH higher than 7.5, your beans may not bloom. But don’t worry, you can lower it down by adding more compost that contains ammonium sulphate. One thing that you should never do with the bean’s seed is soaking it with water. When you soak some seeds in water for long periods of time it will fasten its germination process. This process has no effect on beans. Eggplant is one of the most common spring vegetables because it grows well in warm to a hot temperatures between 21°C and 30°C. Eggplants can grow in an organic, rich in compost and free draining soil with a pH level between 5.5-7. If your soil’s acidity is higher than 7, you can lower it down by adding powdered sulphur. When planting the eggplant, you need to maintain a 20-inch per plant. The key to having a great harvest is to keep it watered regularly and place an organic compost every 6 weeks. The estimated harvest time of eggplant is 3 months. This will only change depends on the weather temperature on the time you planted it. Leeks look like a bigger version of spring onion – with white bulb-shaped base and long slender green leaves. It is very easy to grow, and you can harvest it 15-18 weeks after you planted it. The proper way to plant leeks is by planting it first on trays or small pots. After 4 to 6 weeks, if the leeks grew at least 2 inches tall, you can then transfer it to your garden plot. But before you transfer it, you have to prepare the soil first. For your leeks to grow successfully, you have to make sure that the soil has a temperature between 8°C and 30°C. Also, you must dig a hole 8 inches deep with 4 inches distance from each plant. After planting your leeks in your garden always make sure to keep the soil moist. Many gardening enthusiasts love beetroot because they can eat both the fruit and leaves. Beetroot grows in medium rich, well-drained soil. The proper way to plant this is by choosing the right position in your garden. You need to choose a place in your garden that is exposed to a full sun because beetroot needs lots of it. For the garden plot, there are no special rules when it comes to distance for each plant or how deep the pot must be. You just have to scatter it in your garden and water it regularly. After 10 weeks you can start harvesting it. A little tip: If you want to have a continuous harvest, just scatter more seeds on your garden. The salad wouldn’t be complete without a luscious lettuce. You can plant lettuce by placing it in the shady parts of your garden and maintain 12 inches distance from each plant. Also, make sure the soil has a temperature between 8°C and 27°C. It’s all right to plant it with a higher temperature just make sure to water it regularly because if not, the lettuce can taste bitter when eating it. Once your garden plot is ready, scatter the lettuce seeds on it. After 12 weeks, you can start harvesting it. After successfully planting your vegetables, you can now focus on providing proper care and protection against pests. Bacterial ring rot, Thrips, and Currant-lettuce aphid are just few of the pests that you must watch out. If you find some in your garden, you must kill it to avoid ruining your crops. If you don’t want to take risks with different pesticides, you can call for professional pest control services to help you.